There is nothing like a versatile heel that speaks to you at first glance. 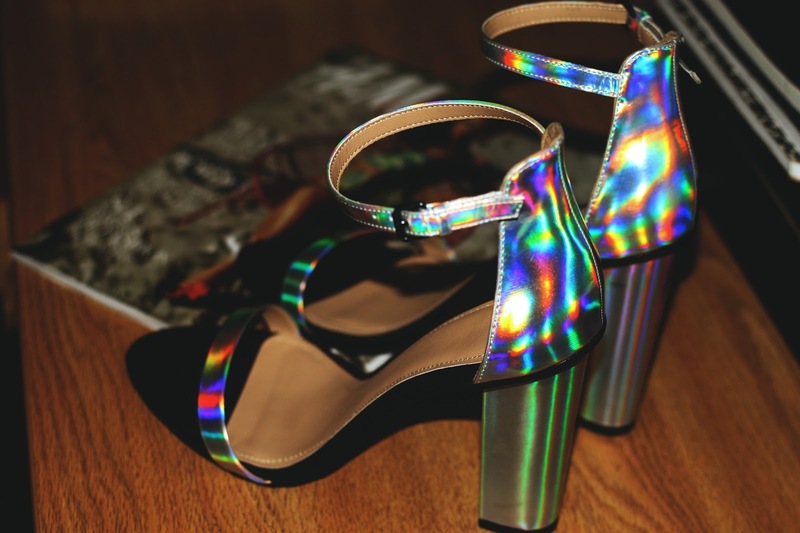 New to the family are my Iridescent Sandal heels from Zara. 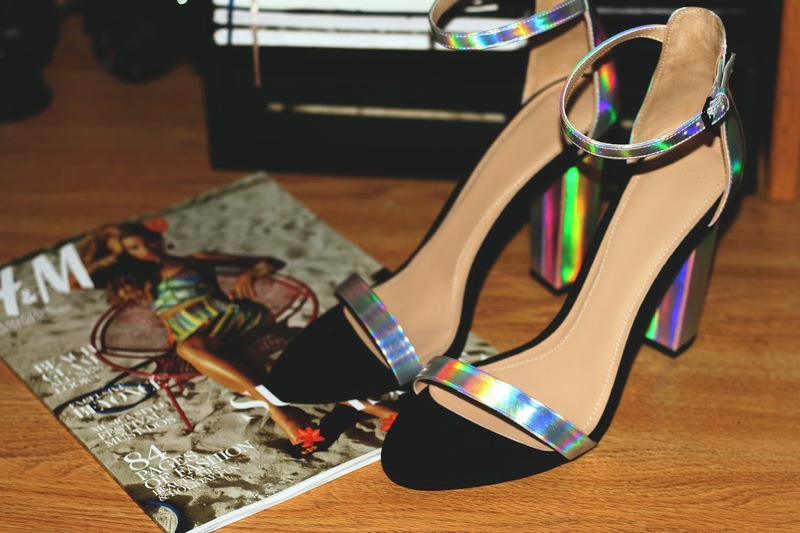 This shoe is gorgeous and a little bit more comfortable than average because of the velvet sole. At first I was looking for some nice silver stiletto heels with a mid-platform, but never found the one’s that I desire in my size. On the other hand I became some what of a fan with hologram shoes. I just didn’t like the idea of having hologram all over my shoes. So when I saw these, I was amazed, a little sketchy, but I tried on the shoes and fell in love and knew I had to have them in my closet. A suggestion, when it comes to trends, try a few things out that you would not dare to wear. Like myself I like mixture, find out what works for you. For me, when it comes down to trends, I love the color’s. So I can come up with my own wardrobe and find things that I like to “mesh” with.